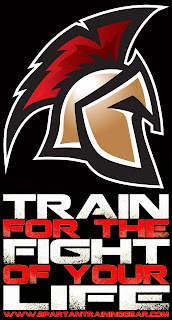 The Spartan Training Gear Blog: Train. For The Fight Of Your Life. Train. For The Fight Of Your Life. Why do you train? What are you preparing for? If you knew you had to fight for your life tomorrow, would you change the way you're training today? Are you confident that your tactics will be effective against a violent opponent? It's your responsibility to pressure test your skills and Spartan Training Armour is the gear you need to do that. Spartan lets you stand in the eye of the storm. It lets you train at speed, with power and penetration. It puts your skills to the test in training, where you'll develop the experience you need, before you need it. Spartan Training Armour. Train. For the fight of your life.